If you can't spot the sucker in the first half an hour at the table, then you are the sucker. William Thorson is only 27 years old but on his account there are 23 cashes in different tournaments. His total winnings exceed $2,000,000. He is triple final table player in the European Poker Tour (EPT). What concerns his World Series of Poker, in 2006 he walked away with $907,128 on the 13th place. That time he played No Limit Hold'em. But the next time, just in a year in the same tournament he won the third place in Limit Hold'em and cashed over $130,000. Thorson won the PokerStars Baltic Festival Main Event in Tallinn, Estonia and took $98,000 home. His recent major tournament is 2010 WSOP Main Event. Also he is one of five non-American players in the top eight in chips, which is quite impressive. Except poker games, he likes riding and training horses. 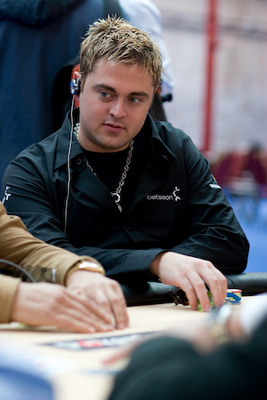 Also he is the member of Team PokerStars Pro.